In June 2016, the HR Committee reviewed Ghana’s initial report on the implementation of the International Covenant on Civil and Political Rights (ICCPR) and adopted its concluding observations at the end of the review. In July 2017, the State of Ghana submitted its follow-up report on the implementation of these recommendations. 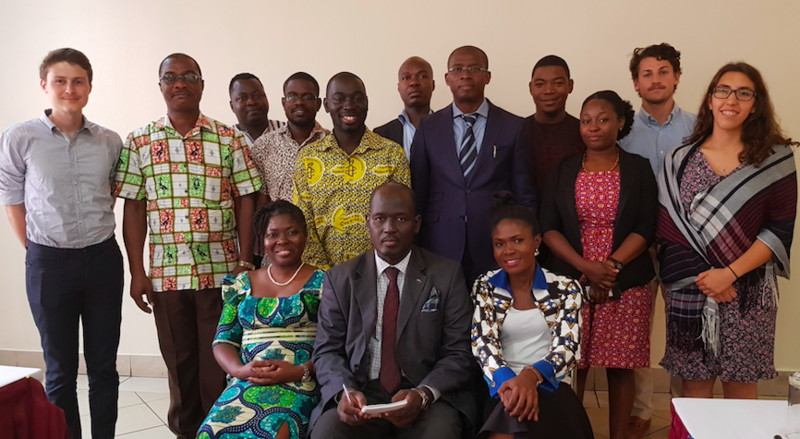 Between 9 and 12 October 2018, the Center for Civil and Political Rights (CCPR-Centre), in partnership with the Human Rights Advocacy Center (HRAC), organized a mission to Ghana to monitor the implementation of the recommendations. "Laws and policies exist, but their implementation is hampered by the lack of financial means." Major steps have been taken in the context of the program Justice For All. This programme was initiated with various ministerial departments, the Office of the Prosecutor, the National Human Rights Commission and civil society. It has helped to decongest the main detention centres, in particularly through the rehabilitation of the Ankaful Maximum Security Prisons and the construction of a new 2000-seat prison in Nsawam. The administrative staff within prisons have also been strengthened, but challenges remain, particularly in connection with the persistence of prison overcrowding (15,000 detainees held for a current capacity of 9,000 places). Inadequacy of resources in detention centres is also a concern. Among the progress made, the draft law on alternative sentences to detention should be noted. This should contribute to the reduction of inmates and reduce overcrowding of prisons throughout the country. The lack of financial resources threatens these care centres, although it should be highlighted that a law to increase financial resources has been drafted. However, it has not yet been passed in parliament. The information collected identified the progress made by Domestic Violence and Victims Support Unit (DOVVSU), a unit of the Ghana Police dedicated to collecting and processing the cases of victims. This unit has opened counselling centres in various regions across the country to support victims, but for civil society actors, the lack of adequate resources hinders the effectiveness of the actions carried out. Wendy Abbey, HRAC Member noted that. "Laws and policies exist, but their implementation is hampered by lack of financial means". In addition, she underlined that in order to improve the situation "NGOs and the government are adopting a set of minimum rules for the management of these centres. The purpose of these guidelines is to guarantee a minimum standard of respect for the rights of these people". The participants of the round table, in particular the representatives of the State, emphasized that the collaborative framework created by the CCPR-Centre, with NGOs and authorities, is a good approach. “Each state needs to evaluate itself in order to advance their human rights, and both national and international NGOs, by virtue of their expertise and autonomy, are in a position to give independent opinions that enable the government to act better”. Regarding the expected outcome of the Ghanaian review before the Human Rights Committee, the participants also welcomed the fact that “different governmental agencies often work together, and it is hoped that this review will reinforce their willingness to work in synergy to be more efficient and better coordinated”. This mission is an additonal step, carried out by the CCPR-Centre, in the follow up activities in Ghana. It is a continuation of the previous follow up mission by member of the HR Committee, Ms. Margo Waterval July/August 2017. Information gathered during this mission permitted Ghanaian civil society to finalize the monitoring report. The HR Committee plans to review the Ghana Progress Report in March 2019.